Revitalizing Northland Avenue on Buffalo's east side is something that Mayor Byron Brown has been wanting to do since he was a Common Council Member in the mid-1990s. When Governor Andrew Cuomo announced the state was looking to fund a manufacturing training program, Brown says he got on the phone and told state officials he knew exactly where that training facility should go. "Quite thankfully, the Governor shared my vision," Brown told 7 Eyewitness News. That is how the Northland Workforce Training Center (NWTC) was born. Now the stretch of Northland Avenue between Fillmore Avenue and Grider Street, a block south of the Erie County Medical Center, is in full-on construction mode. At least 120 construction workers are on site, ripping up the ground to make a brand new street-scape, with a small park, LED-street lighting, and a welcoming entranceway to the various buildings that will all be part of the so-called Northland Corridor. 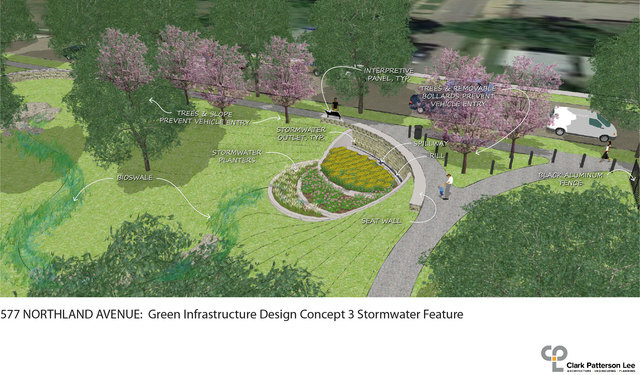 "This will be a beautiful, gleaming transformation of the Delevan-Grider area," Brown said. The signature building is a 230,000 square foot training center, which will contain the NWTC and take in hundreds of students annually to become trained in advanced manufacturing jobs. The one- and two-year college program partners with the Buffalo Niagara Manufacturing Alliance to teach the skills necessary for jobs that employers are looking to fill. In recent years, the skills gap in Western New York has been a hindrance in getting those jobs filled. "The [Buffalo Niagara Manufacturing Alliance] help us develop the curriculum, identify the equipment to train our students on so that we can stay ahead of the curve and make sure that we're preparing people for the jobs that are in demand right here in the community," Stephen Tucker, NWTC President & CEO told 7 Eyewitness News. The school is expected to be up and running by late August, with an inaugural class of 150 students. With a little more than three months until classes begin, so far approximately 50 students have enrolled. 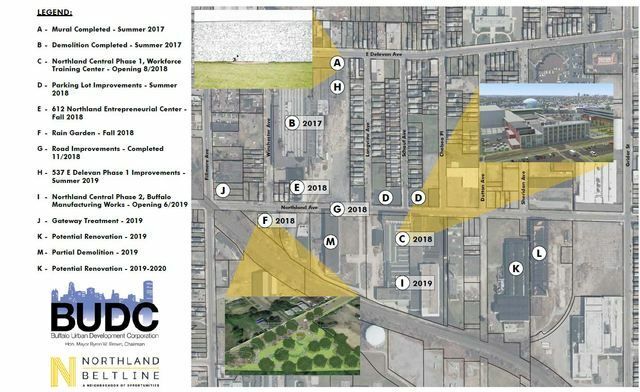 The Buffalo Urban Development Corporation is also looking for companies that will occupy space within other buildings along the Northland Corridor. Next year, Buffalo Manufacturing Works will re-locate there, but there is plenty of vacant space that needs to be filled by tenants in order to generate revenue for the $120 million dollar project, paid for in large part by public money. "There will be spaces for small manufacturing businesses and other businesses to locate here and pay rent to help with that sustainability," Brown said.